VOX Toggle - I'd rather toggle VOX on and off, and have the VOX delay time set in a menu. Having to cycle through all the VOX delay times to turn VOX on and off is a real pain. RIT / XIT Display - momentarily display the RIT or XIT offset on the main display when it is changed (much like for power or keyer speed). Unified Filter - Rather than having to separately select XFIL and AFIL settings, I'd rather have three of four filter presets that allow me to combine an XFIL and AFIL setting for each mode. One button (say XFIL) would then cycle through the presets. That way, you're always selecting an optimized filter solution, rather than selecting it manually, which is made more difficult because there is no filter display indicator. IF Shift - This very handy feature could be implemented with a firmware change. Biggest problem is how to control it. I find the XIT to be useless, so I would vote to replace XIT with IF Shift. 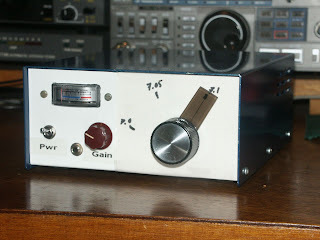 An alternate would be to use the Keyer Speed knob in SSB or RTTY modes. CW Memory Command - have a computer command to write to the CW memories. That way you can program them from the computer and use them from the front panel. Variable Rate Turning - normal tuning is one step at a time, but if you turn the knob faster, the tuning rate increases for as long as you tune quickly. Auto-Tuner Out -- Allow one-touch selection of Tuner AUTO/CAL. This would allow one to easily switch the tuner on and off. Improved KSB2 module -- starting with a filter with sharper skirts (better than 1.5 shape factor), 6-10 dB more mic gain available, more positive VOX (using separate VOX amplifier), anti-VOX circuitry. Improved KNB2 module -- allow selection of longer blanking times, more thresholds, better blanking action. Remote Tuning Knob -- borrow the idea from Ten-Tec. Perhaps part of the PFx module. Opto-encoder for RIT/XIT knob -- Replace the potentiometer with a optical encoder. That way, we wouldn't have to manually re-center it. I intend to keep using my K2 for several years. It's my hope that Elecraft will be able to deliver some of these enhancements. As mentioned before, I've been using a Cushcraft A3S for several years now. I purchased it back in 1989, had it up for about six years, in the basement for five, loaned out for a couple of years to W1YM, and then back up since 2001 at my QTH. There's many things to admire about the A3S. It's quite rugged, having survived several freak Georgia ice storms, but it only weighs 25 lbs even with the 40m option. While it's one of the last tribanders designed without computer modelling, it has reasonable performance on a small boom of 14 feet. It's been a popular product both in home installtions and even for Field Day. I have one ham buddy who used to use one on a pneumatic mast mounted to his conversion van. A layer of electrical tape protects the driven element insulator from the Sun. There's not much of it exposed, but the sunlight will slowly break it down over time. Covered with tape, it will last forever. Use a sharp knife to open the U-bolt holes. The plastic trap end caps won't last forever. After about 5-8 years in the Sun, they will split. Cushcraft also thinks quite a lot of them -- replacing all 24 end caps cost me almost $50 in 2000. Try to preserve them by placing a single layer of tape around the circumference of the cap where it goes over the trap tube. The flat ends don't tend to split, since they aren't under any tension. While it is in the instruction manual, it's pretty easy to have an element section rotate and have one or more holes pointing anywhere but down. 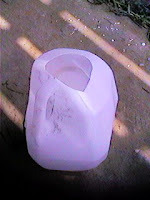 Leave them that way, and the traps will fill up with water quickly. Get the screw clamps on tight enough so the element sections don't rotate. 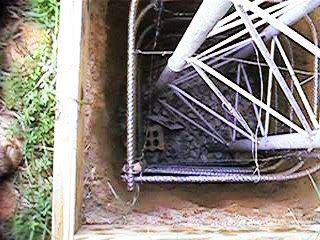 The traps are designed so that the end connected to the cover tube is closest to the boom. Make sure all of them are this way. If you are not sure which way they are, you can carefully slide an end cap off to check. 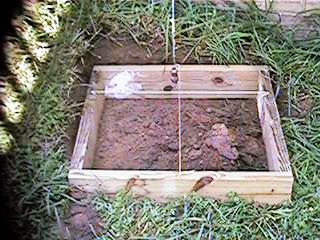 Mark the trap tube with an arrow using a Sharpie so you can remember. If you put the trap on backwards, it may be hard to diagnose. Cushcraft recommends making a balun by taking six loops of coax and taping them together. 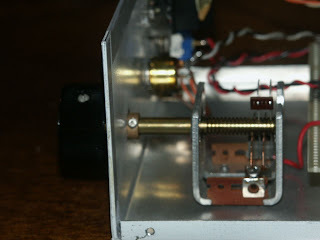 WA2SRQ wrote a posting to TowerTalk back in 1996 that showed that such a balun is much more effective when the turns are in a single layer and do not overlap or bunch. Six turns of coax on a 4 inch PVC form should work nicely. Ferrite beads a foot and a half long works well, too. I found a set of 10 of ferrite beads large enough to fit over RG-8 and wired them underneath the boom. With the A743 option, the driven element droops far too much, so Cushcraft includes a non-conductive support rope and support mast. 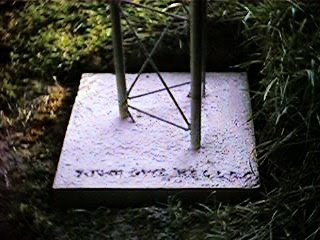 The instructions show the support rope should have a twist right at the top of the support mast. The twist prevents the rope from sliding back and forth through the plastic grommet as the driven element moves in the wind. It will eventually break. Don't ask me how I know -- just remember to include the twist. Steve recommends going half-way between the CW and MID settings. The last time I had my A3S up, I used the Phone settings, and the SWR was very high at the bottom of the bands. So, I used values that were midway between CW and MID. This results in a good compromise in covering the entire band. Here's the SWR curves through about 130 feet of RG-213. Based on these graphs, I could probably shorten up the spacing between the 20m and 15m traps, and the 10m traps and the boom. Regardless of the values you use, double check the measurements before putting the antenna up. When I first put up the A3S, the 10m director spacing was about six inches too short. You couldn' t tell from the SWR curves, but the antenna likely did not work as it should. There may be better tribanders you can buy, but the Cushcraft A3S is a great performer. The A743 option adds 40m. At my QTH, this is my best 40m antenna, partly because it is mounted higher than anything else. Being able to rotate the pattern is often helpful in crowded contest conditions. There's been a few letters in QST lately about the proper use of phonetics. The latest QST (the one from the future -- July 2009) has an op-ed piece about phonetics. The original letter that set this recent discussion off was a couple of months ago. The writer complained that he heard a station signing "London Radio" and thought he'd be talking to England, but was disappointed when the station was merely in the US. The writer insisted that everyone should just use the standard phonetics, and never anything else. While well intended, I'm afraid that the ICAO phonetics, while they work very well for aviation communications, don't always cut it. "Romeo" -- this is just not a great word. It works OK most of the time, but not everyone in the world knows Shakespeare. "Radio" is a word that all hams know. It's the one phonetic that will get through when nothing else will. "Lima" -- this is just a weak word. Watch your wattmeter when you say it -- it doesn't have that much punch. Using it, I get all kinds of guys who heard everything but the "Lima". They think it is "Charlie" or "Kilo" or "Echo" -- anything but "Lima". "London" works more often than not. About the only place that "Lima" is recognized well is in Central and South America. "Alpha" -- try saying it twice. It comes out kinda funny. A lot of guys hear "Alpha Delta", but I also get "Delta Alpha" and "Papa Alpha" responses -- particularly from stations in europe who may be more familiar with those prefixes. At that point, the longer "America America" seems to work -- it communicates the letter as well as the country of origin. In short, I've had this callsign for 25 years now. I've had all sorts of experience with what gets through and what doesn't. The standard ICAO phonetics don't cut it for my callsign. Pardon me if I use something a little unusual -- but it works. And isn't that what ham radio is about -- communicating? I was writing a note in reply to a ham who was upset that a certain DXpedition had posted operating frequencies that were all in the Extra and Advanced-class portions of the bands. He was worried that as a General-class licensee, he wouldn't have the opportunity to work the expedition. Of course, he had nothing to worry about. These expeditions regularly listen for callers in the General-class portions of the bands. I did point out to him that between now and the time of the expedition, he had plenty of time to upgrade. Then, it hit me. It has been 29 years since I took the Amateur Extra-Class exam. Exams these days are pretty easy, compared to conditions years ago. Back in 1980, the FCC still administered the exams. For Extra class, code was 20 wpm, and you had to take a total of three written tests -- one for General, Advanced and then Extra. Plus, the exams were only given at FCC offices at major cities -- so, if you lived far away, you faced quite a road trip. It was the end of my Freshman year at Georgia Tech. My family had come down to visit my grandparents, and take be back to West Virginia after finals. My brother, then KA8DTD, figured he might be able to schedule an upgrade exam before the week was out. Sure enough, amateur exams were available on Friday. Ben had a Conditional class license, and I was a General, having been tested at a hamfest just a year before. So, he scheduled both of us to take the Extra exam. Friday, June 13, 1980. Neither of us was terribly worried about the code test, although I hadn't been down to the club station in weeks. I did borrow his Extra-Class Study Guide for that week, and managed to go over it in the midst of studying for and taking final exams. Friday morning came, and our father dropped us off at the FCC examination building. We filled out paperwork and sat for the code test. I sweated it a little, but passed. Ben passed with no problems. Then came the Advanced written examination. I figured it would be easy, since I studied for my Extra. Wrongo -- the old Advanced test was the largest of the bunch, with 50 questions, all of them tough. Only my private pilot's written exam was harder. We both passed the Advanced written, and so far it had been worth the trip -- we were both guaranteed an upgrade. After the Advanced, I was convinced I was going to flunk the Extra -- but the test turned out to be a lot easier -- only 40 questions, and most of them I studied for. After sitting through three exams over several hours, I got the news. I had passed! 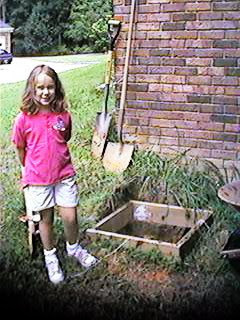 I was an Amateur Extra class. Ben didn't fare so well -- he had missed the Extra by one question. And that was probably because I "borrowed" his study guide all week. So, this begins my 30th year as an Amateur Extra-Class. Hard to believe it has been so long ago. I've operated 80m since I was a Novice. With a little room in the yard, it's not hard to put up a basic 80m dipole. 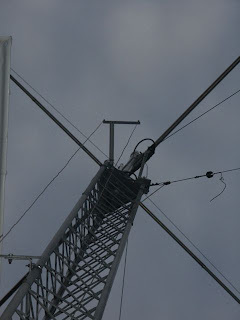 Getting an 80m dipole up high enough for it to be effective is not so easy. 160m is more of a challenge. 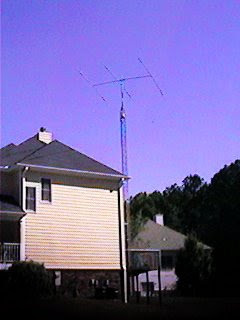 A simple dipole doesn't fit in your typical yard. A quarter-wave vertical requires quite a support structure. What we need is a effective compromise antenna. I think it was my involvement in the NAQP that got me determined to get on 160m. I had managed to make a few contacts loading whatever antennas I had and trying to call the loudest stations on the band. After I had my tower up, K9AY encouraged me to get on the ARRL 160m contest with my 80m dipole. He also suggested that I try to put up an inverted-L. I but one up for 160m with two 100 foot elevated radials. I found the 80m dipole was more effective. 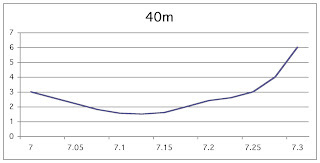 W8JI once wrote that his full-sized 160m dipoles at 300 feet were only more effective than his verticals a few percent of the time, and that was only during very unusual conditions at sunrise. The way I interpreted this was that vertical antennas can be very effective on 160m, perhaps also on 80m. What I needed was a way to put up an effective vertical antenna for 160m and 80m. K9AY originally suggested I try to shunt feed my tower. His advice was to run a wire all the way to the top of the tower sections, then measure the impedance at the bottom, then design a matching network to match the resulting impedance. So, that's exactly what I did. You can see the upper shunt wire mount in the photograph to the right. 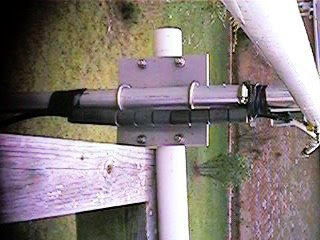 A piece of 1"x1" angle aluminum U-bolted to the tower provides the support for a piece of 3/4"x3/4" angle aluminum that separates two 12 gauge insulated wires. The wires are about 10 inches apart and join again another piece of 3/4"x3/4" angle aluminum fastened to a NEMA matching box at the bottom of the tower. The shunt design has been through several iterations at my QTH. First was a single wire that was matched for 80m using an omega match. This worked ok, but I started with just seven 50-foot radials. When I added eight more, the shunt worked much more effectively. At this point, I felt that all those radials might work on 160m, so I added an L-network that I could switch remotely with a relay. This worked until I added the A743 40m add-on kit to my Cushcraft A3S. The omega match no longer would load on 80m. 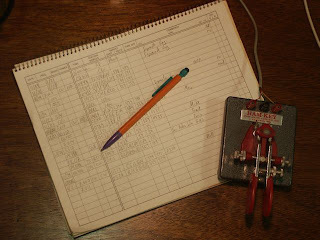 The Mark III match used a common tapped inductor for 160 and 80m, and a relay that switched in variable capacitors for each band. I had a lot of trouble with arcing. The Mark IV is what you see below. It uses a separate L-network for each band, switched in or out with a DPDT relay. 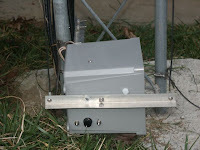 Everything is contained within a 6x6x6 NEMA box shown below, which is mounted on a 1"x1" angle aluminum U-bolted to the tower. 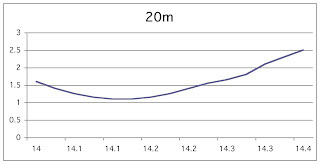 160m is on the left. The coil uses two stacked T200-2 cores with 42 turns of wire tapped every two turns. Capacitor is a dual-section which I measured at 15-325 pF per section. The small silver-mica capacitor has been replaced with a 4 kV 160 pF disc ceramic part. The result is about 180-800 pF of capacitance, of which I'm using about 750 pF. 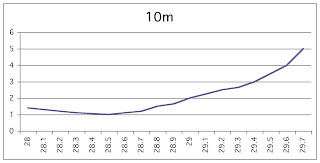 80m is on the right. Coil is 38 turns of wire tapped every two turns. Capacitor is a 13-250 pF unit that was the plate tuning capacitor on a Heathkit HW-40. The photograph shows enameled wire, but I've since re-wound the 160m coil with insulated wire. Biggest problem is that the heating and cooling cycles of being outdoors cause the turns to rub against each other. This eventually results in arcing between the turns when RF is applied. The matching networks aren't designed for a lot of power. The 80m network can manage about 200W, and the 160m network only 100w. Higher power networks would require beefier networks. 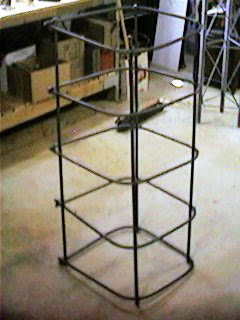 Except for the NEMA box and angle aluminum, this was all stuff I had in the junkbox. Does it work? Well, I have WAS confirmed on 160m CW, with three states left to go on 80m. For DXCC, 21 confirmations on 160, and 34 confirmations on 80. Yes, this antenna works! The key to making this antenna work well are the radials. I have twenty-five 50-foot radials, plus four 100-foot radials. Or, at least, I did. 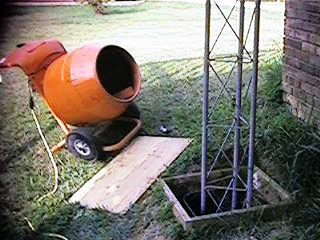 Some recent septic-tank work cut several of the radials. I plan to lay down more this summer. I put my radials straight on the ground, held close with small loops of copper wire pushed into the ground. This keeps the wire down until the grass can grow over it. Once the grass covers them, I have trouble finding the radials. If you have a short tower, consider shunt-feeding it to get on the low bands. It's worked well for me. 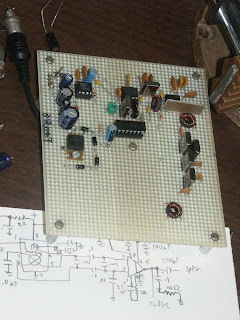 Dennis N2RIT wrote to ask me about the schematic for the Step-start circuit. Well, Dennis, it's pretty simple. I used the design posted by Rich Measures AG6K here. For the AL-80A, I used the +12 volt supply, which is about 15 volts unregulated. The coil of the relay I used is about 360 ohms, so to get the voltage about right, I used a 100 ohm dropping resistor. I also added a 1n4148 diode across the relay coil to absorb the back EMF when the relay opens. Probably not needed, but it seemed like cheap protection. For many years, I did not own an amplifier. I ran barefoot at 100 watts. You can work a lot of stations with just 100 watts. When I contest, I generally enjoy competing in the 100 watt category. But, a four years ago, I bought a used amplifier. It had been owned by one of my fellow contest club members, K4GA. I didn't know Archie that well, aside from the e-mails we exchanged on the club reflector. After he passed away, his widow wanted his radio equipment to find a good home. I made an offer on the amplifier, and it was mine. K4BAI later told me that this Amplifier had a bad trip to Barbados once -- it had been damaged in shipping, but had been repaired by insurance. When I got it, it needed a little TLC. The cover was on backwards, and several of the cover screws were missing. The meter switch had been replaced with one that had a shaft about an inch too long. I fixed the meter switch with a few minutes work with a hacksaw. I bought all new screws and put the cover on the right way. The meter reading for the high-voltage was a bit low -- this turned out to be a problem with one of the divider resistors. I had much higher-quality replacements in my junk box. That fixed, the meter for high voltage read exactly as it should. The open-frame antenna relay would sometimes leave the receiver antenna disconnected. This was easily taken care of with a little contact cleaner. This amplifier has given good service in the last four years. 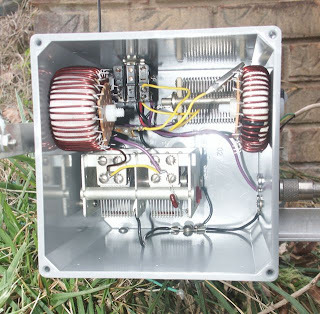 I've used it pretty heavily in RTTY contests, running about 400-500 watts out. I've had only a couple of complaints. One was the jarring THUMP that would sound when I switched the power on. It didn't happen every time, but often. All that inrush current couldn't be good for the power supply components. It didn't take long to figure out I needed a step-start circuit. Step-start is simple. Low-value resistors are placed on the main power leads. They limit the inrush current when the unit is switched on. Once the capacitors charge to a certain point, the resistors are shorted out by a relay. For the AL-80A, this is easily accomplished with two 10-ohm 10-watt resistors. Selecting the relay was a little trickier. I found a nice 12 volt relay, an Omron G2RL-24. This is a DPDT relay with contacts that can carry 8A at 250 volts. This sealed relay was only about $3.00 from Mouser Electronics. version of the board didn't come out too well, as I tried to flood-fill to leave as much copper in place as possible. The result was pretty ugly, because all that toner didn't stick well to the board. I probably didn't have the heat setting right. I redesigned the board without the flood-fill, and I also beefed up the size of all the traces. Getting the TEC-200 film to transfer the toner with just an iron is going to take more practice, but I'm pleased with the results. Note from the design -- I layed out this board in 2007, but I didn't get a chance to build it until recently. I will admit that I drilled some of the component holes a little large. I'll have to remember to use the smallest of my numbered drill bits next time I make a circuit board. The one nice thing about designing your own board -- it's guaranteed to fit your parts. There's only five components on this board, and it goes together with a few minutes of soldering. Getting the board in the AL-80A took more doing. For one thing, it is heavy. Moving it around is not easy, and must be done with great care to avoid damage to the amplifier and also to myself. The next problem was getting in to wire the board up. The power connections are on a barrier strip that's close to the power transformer. Fortunately, one can remove the screws and unsolder a few connections and the back panel lays down flat. Figuring out how to connect the board was tricky. Like I said, this AL-80A had a bad trip to Barbados. The original transformer had been replaced with an AL-80BX transformer -- which also has buck/boost windings. I ended up hooking the board from the connections from the fuses to the barrier strip. 12 volt power from the auxiliary jack drives the relay. While I had the amplifier open on the workbench, I also added a glitch resistor to the B- lead from the rectifier stack. This is a 10-ohm 20-watt resistor. If the tube were to become gassy and short out, the glitch resistor will help dissipate the energy stored in the capacitor bank. I borrowed a couple of unused lands on the rectifier board in order to mount the glitch resistor. Buttoning it all back up, then came the smoke test. Fortunately, I kept the smoke in. Step-start works great. No more loud thump. 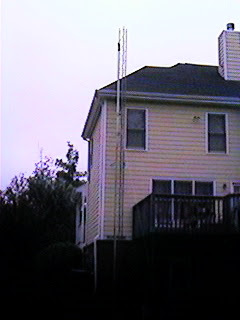 Most hams start off on HF with modest antennas. Perhaps a simple wire dipole, or maybe a trap vertical. 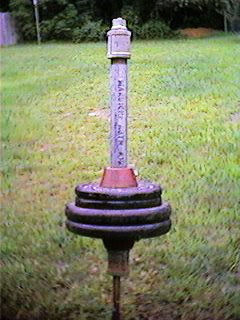 These simple antennas can work, and often work well -- when installed at the proper height and with the appropriate number of radials, respectively. But those starting off often don't have the experience to do things quite right. 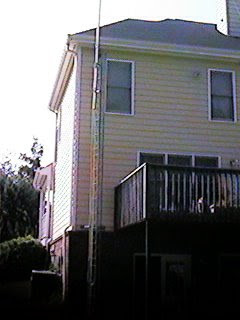 My first ham antenna was a simple 40m inverted V -- it followed the roofline of the house on 6" standoffs. The apex was all of 25 feet up -- and the ends were only a couple of dozen inches from the ground. It worked, but not well. With the 50 or so watts I coaxed out of my novice rig, it did OK. I also tried various dipoles strung between trees and buildings, random wires, even a vertical made out of a slinky. Anyone who uses these simple antennas often dreams of something better. I thought that the guys with the tribander at 50 feet had the high-end installations. 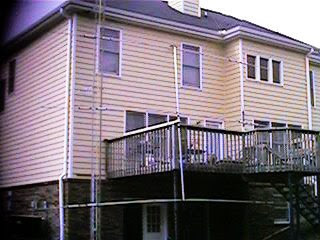 When I bought my own house, I wanted to put up some good antennas. First was a 300 foot longwire at about 15 feet high. 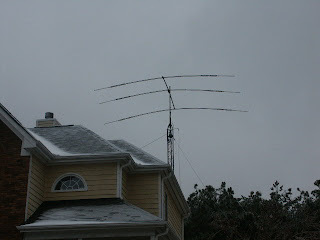 Fed with an L-network, it could load up on all bands -- even 160m. It did not work well. For a while, I used a "Loop Skywire" -- a 80m full wavelength loop positioned horizontally. This was about 15 feet up -- just barely higher than the longwire. It worked OK, certainly better than the longwire. But really, none of these were any better than my novice antennas. Somewhere along the line -- I had an epiphany: for horizontal antennas, the most important single dimension was the height above ground in wavelengths. I built an 80m dipole and got it up in the trees about 45 feet high. 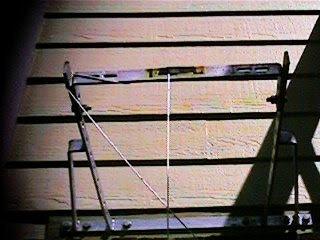 This antenna worked great -- much better than the Loop Skywire -- and it only required two supports instead of four. I eventually put up a beam. First was a Butternut HF4B. 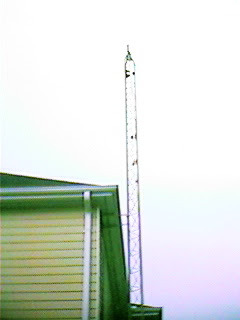 It was mounted on a roof tower at a height of about 35 feet (10m). Certainly not optimal for a tribander. I eventually replaced the HF4B with a Cushcraft A3S. I've written about this antenna before -- it is probably one of the best of the small trapped tribanders. When I moved to my current QTH, I decided not to repeat the roof tower experience. It took nearly seven years before I could save up enough to put up the tower. In the meantime, I used a number of dipoles at successively higher heights, a trapped vertical (the Cushcraft R7000), and even a couple of two-element delta-loop wire beams in the attic for 15 and 10m. 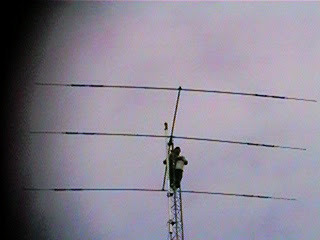 During this time, I had the fortune of being able to guest op at W4AN's superstation near Dahlonegah, GA. NQ4I also invited me to come and operate at his Multi-Multi station. 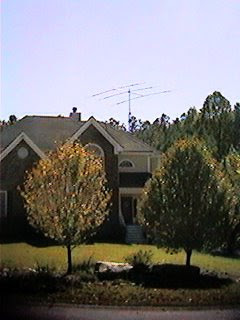 These stations have multiple mono-banders for each band, often at heights much greater than your typical tribander-at-50-feet, and many times stacked mono-banders to certain areas. Operating at a super-station is pretty amazing. Moving from a simple dipole or vertical to a tribander is an eye-opening experience. With a tribander, the band opens earlier, stays open longer, you have directivity that can bring stations out of the noise or null out unwanted signals. Bands you thought were dead come alive with signals. 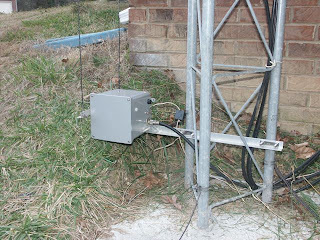 Pileups that were too big and crowded with a dipole are easily busted with the tribander. It's curious that going from the tribander to monobanders or even stacked monobanders isn't as dramatic as the shift from a dipole to a tribander. Using a monobander or stacks is much like the tribander, only better. It isn't a sea-change. Not every ham can afford towers and stacks, but every ham interested in HF ought to consider putting up a modest tower with a tribander. It will make a huge difference. 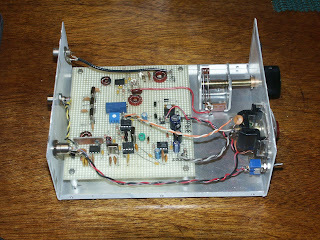 I recently read with some interest K2TQN's column about the HBR Receiver in the February issue of QST. I had never heard about this receiver until this column -- this design likely pre-dates my involvement in amateur radio by 10-15 years. When I got into ham radio in the early 1970s, the transceiver was beginning to come of age. In the 1960s, SSB had replaced AM as the primary mode for voice operation. Transmitters and receivers for SSB have many of the same circuits -- so it made sense to share these in a single box. Before then, most hams had separate transmitters and receivers. Looking at the HBR receiver stage descriptions, the basic design seems foreign to our modern designs. Selectivity is provided by high-Q LC circuits in the low-frequency IF near 100 kHz. But such a low IF frequency wouldn't result in very good image rejection, so a first IF near 1700 kHz comes first. Now, in the 1950s and 1960s, the amateur bands were simpler. 160m was covered up with strong LORAN A signals and was virtually unusable. The 30, 17 and 12m bands hadn't been invented yet. So, most radios only needed to cover five bands. The HBR accomplishes this through plug-in coils. 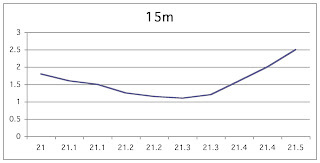 From a modern view, the lack of bandswitching and sharp IF filtering stand out. It's hard to imagine changing bands by opening up the top cover and swapping out coils -- particularly when a couple of them have potentially dangerous plate voltages on them. Perhaps a band switch was something of a luxury. The IF filtering confuses me. My little 40m receiver has excellent IF selectivity from just four crystals. 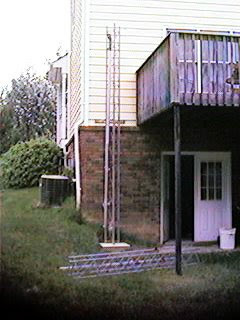 Hams in the 1950s could have built ladder filters in their receivers using crystals from 2-10 MHz. Although, I'm not sure the ladder filter design was invented until the 1970s. Perhaps the cost of the crystals was prohibitive -- crystals are often expensive, even today. Other than the use of transistors, the design is a curious mix of older and modern elements. The rig is small, so there's plenty of room for a bandswitch for five bands. Selectivity comes from a 455 kHz mechanical filter -- 455 kHz is a bit low for good image rejection, so the first IF is around 2000 kHz. This transistor receiver likely outperformed the HBR in terms of selectivity, but the HBR likely had better dynamic range. The single-ended mixers of the 1950s can't hold a candle to even simple Gilbert-cell mixers today. Dealing with other people's code challenges most software developers. If you program professionally, you can't avoid it. Any project of reasonable size requires multiple developers, meaning someone other than just you. Even if you only deal with your own code, it may look different to you later. At one job, I remember looking at something thinking, "who wrote this?" -- only to find in the comments that it was me, about 10 years earlier. Code that has been in use for any length of time tends to rot. Design decisions that made a heck of a lot of sense five or ten years ago, when machines were less powerful and memory more expensive, seem silly -- perhaps wrong. As revision after revision is piled on, it tends to make a mess. Add to this the hands of a hundred programmers -- each one knowing the one true way to write code -- and a lot of code tends to become a hopeless jumble. Worse, that hopeless jumble is tested and works. As Joel Spolsky explained, modifying existing code has two dangers. First, code is hard to read, and that hopeless jumble you're trying to enhance already does things that you won't understand without a lot of work. Second, the more you alter the code, the more you'll have to retest to ensure you haven't broken the existing functionality. Now, if you are lucky enough to have a full suite of unit tests, then you can let yourself go wild and refactor with the assurance that the unit tests will catch any errors. But this is old, revised code. Even if you have unit tests, they probably are out of date or perhaps they no longer work. One thing that I remember from Boy Scouts -- you have to have the right attitude toward camping. Ideally, you should leave a campsite without any evidence that you had been there. That's probably not possible. But our scoutmasters had a simple for us to follow: always leave the campsite cleaner than when you arrived. This rule applies equally well to code. No matter how badly some bit of code has been abused in the past, you can always have it leave your hands in better shape than when it arrived. If the code needs comments, add them. As you figure out how something works or some obscure requirement that's buried in the code -- note it for future programers. If the code has a jumble of if-statements, and you can restructure it to be more clear, do so. If you find dead code, eliminate it. Just be ready to test it fully before you leave it for the next developer. No matter how much you temper your changes, you can always do something to improve the code for the next guy. And if everyone did this, we'd have fewer hopeless jumbles. UPDATE 6/16/2017 - The original link for Your Novice Accident (and What to Do about It) below is now returning a 404 error. I found another reference to it here. When I received my Novice license back in 1975, the ARRL sent me a little pamplet on the proper procedures for CW operating. It was a reprint of an article by Keith S. Williams, W6DTY from the November 1956 issue of QST: Your Novice Accent (and What to Do about It). I read it many times before I had a transmitter on the air. I'd heard some of the poor operating practices that W6DTY noted. Even in 1975, things had changed somewhat since W6DTY penned that article. Still, it was a great resource for proper operating procedures and helpful operating tips. The Novice bands of the 1970s, 80s and early 90s were hotbeds of slow speed CW activity. Any time of the day, and most of the night, you could find QSOs in progress in the 80 and 40m Novice bands. By the 1990s, things had changed, and the code-less Technician class became the preferred entry into the hobby. Today, the Novice bands are no longer -- and new CW operators are thrown into the mainstream, as they were in the 1940s. Although it's harder to find slow-speed QSOs on the bands to copy, and many of the operating procedures have changed. Perhaps it is time to revisit Your Novice Accent. 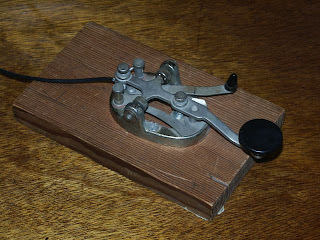 International Morse code is just as much a language today, although the dialect has changed. The old procedures came about from the operating practices in the 1930s, when most stations were crystal controlled. It's hard to imagine today, but a typical contact might take place between two stations who were many kHz (well, kc in those days) apart. With only a handful of crystals, hams would work across the entire band. Today's operating is almost entirely simplex -- the two stations transmit on almost exactly the same frequency. Certain types of DX and contest operation end up being split in frequency, but split is the exception. W6DTY's first bit of advice -- tune around and listen. This is great advice today, but for different reasons. Of course, we no longer wait for the filaments to warm up -- solid state rigs are ready to go when switched on. We still tend not to listen much -- tuning around the band will give you an idea of what is happening. I once worked ZL4PW during a very short opening around midnight local on 30m, just from tuning around. 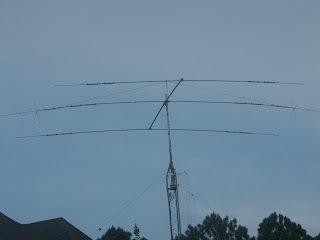 W6DTY advises to answer another CQ rather than adding your own. Tuning around should let you find anyone calling CQ. Given th elower activity levels on today's CW bands, often a CQ or two would be welcome -- many times the bands are open, but no one is transmitting. If you do CQ, it's no longer expect for you to tune around many kHz for an answer. Crystal control is no longer the norm, so it is OK to expect an answer on or about your frequency. Tuning a kHz on either side of your frequency should be more than sufficient. Listening periods are short, just a few seconds. These short listening periods allow another station to respond without having to wait a long time. Notice that we have entirely dispensed with prosigns -- the DE and K are implied. (Note we've omitted the prosign AR) Quite often, operators dispense with the CQing station's call and the DE prosign altogether -- answering stations simply send their own callsign once or twice, and listen for a response. The DE prosign is most properly used to separate the called station's callsign from the caller's callsign. If you are just sending your own callsign, there's no reason to send DE. While many of the formal procedures have been dropped for brevity, we still use abbreviations for the same reason. The ES prosign is actually an old American Morse character for the and symbol (&). W6DTY's advice about using the BT prosign as a separator of thoughts and ideas is still sound today, as well as avoiding the period and comma. HW? is typically used today. I can't say that I've heard WATSA? recently. The prosign KN seems to get more abuse than any other. It was all too commonly used on the Novice bands, and is much less common today. There's probably no need to use KN in ordinary QSOs. Just use K.
The prosign VA appears today as SK (it's the same prosign -- didididadidah, we just abbreviate it differently). Since the use of AR has diminished, SK more frequently appears as a substitute for K.
W6DTY's advice on the proper use of the R prosign is dead-on today. And, I have encountered a few operators who fall into the deadly silences. I hope I don't do that. Sloppy sending is still around 50 years later. Although you do hear quite a bit of precise, computer-generated CW these days. It's a pleasure to listen to. Practicing sending before getting on the air is great advice today. Be sure you can handle the key or paddles with confidence. CW remains great fun, even 50 years later. There's a timeless quality about it -- it never gets old.